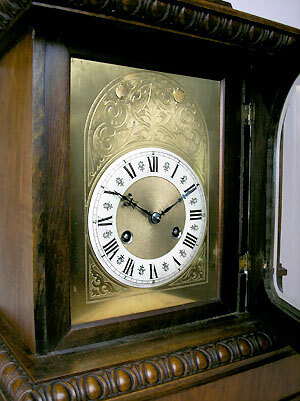 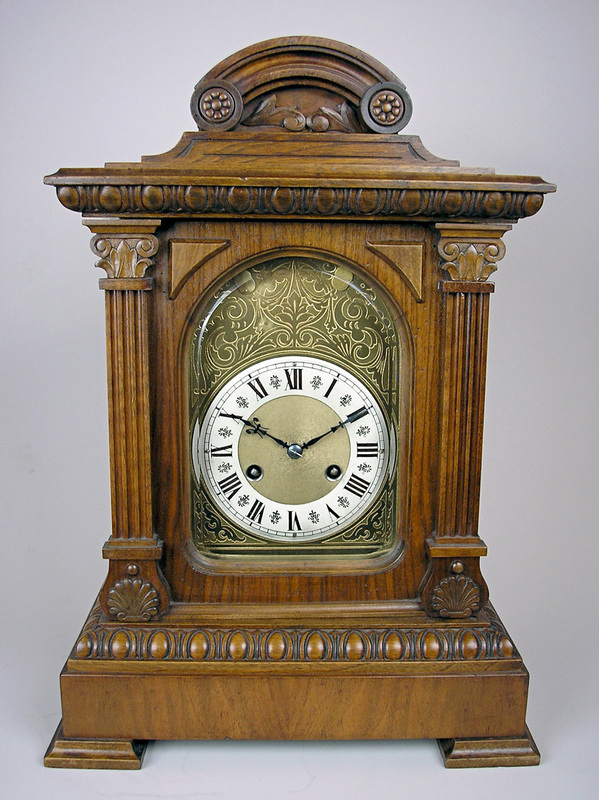 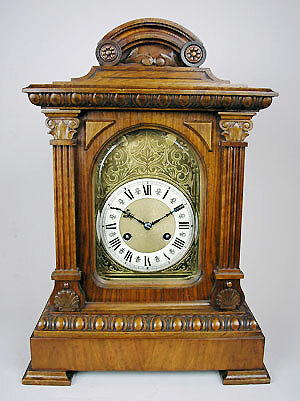 A fine walnut bracket clock with engraved Roman dial. 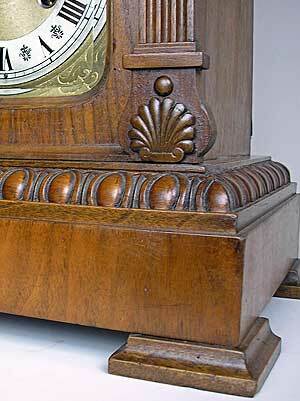 Has fleur de lys hands and Westminster chime. 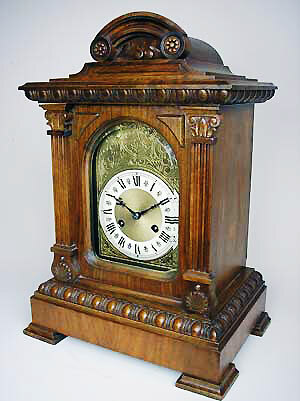 Made by Erhardt Junghans.